S.A. Trucking, a full-service trucking and logistics company was recently ranked No. 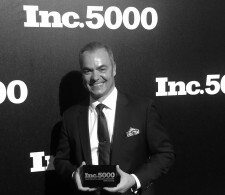 3506 on Inc. magazine’s annual Inc. 5000 list, a ranking of the fastest-growing private companies in the United States based on three-year revenue growth. S.A. Trucking had a three-year-revenue growth of 94 percent, which helped the company make the Inc. 5000.